LiveWell at Coral Plaza is a nice clean place. The staff is nice. My sister's room is pretty big and clean, has AC, and a TV. They play piano, they have parties for them and other activities. She sits outside with the other residents, which is very nice and very clean as well. The best way to get to know a community is by scheduling a tour. See the facilities, meet the staff and residents, and get a feel first hand what it's like to live at LiveWell at Coral Plaza Assisted Living. A perfect choice for seniors seeking assistance in order to maintain a quality and independent lifestyle in Margate Florida is Livewell at Coral Plaza. We have a comforting, warm environment, and resort style accommodations with a personal touch of home. Livewell at Coral Plaza provides an unmatched quality of care to your loved ones with exceptional amenities. Our caring, professional staff provides support and encouragement in finding each resident's optimal level of independence. Our community offers a variety of social and relaxing areas for our residents. Once you enter surely residents and guests will be in awe how beautiful our grand lobby is. We have Sunken Treasury Library stockpiled with good books and reading materials. We have a theater which we called Voyage Cinema room where residents watch good movies. We have a variety of floor plans for our home that residents can choose from. We have companion suites and studio apartments. All units are full furnished, has its own bathroom, individually controlled air condition and spacious closets. Residents of our community is surrounded by highly trained staff that provides compassionate care like family. Our staff are onsite 24 hours a day and help residents with grooming bathing, dressing and medication management. We also have physicians, therapy, dermatology, psychology, podiatry, and pharmacy inside the community. We offer delicious menus that changes and serve nutritious food to our residents three times a day. 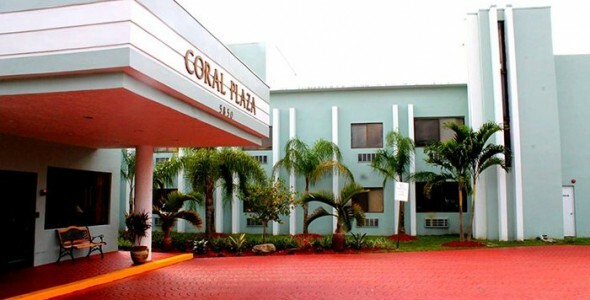 Here at Livewell at Coral Plaza residents have resort style living. Residents do not have household worries. We take care of the housekeeping, laundry and maintenance.